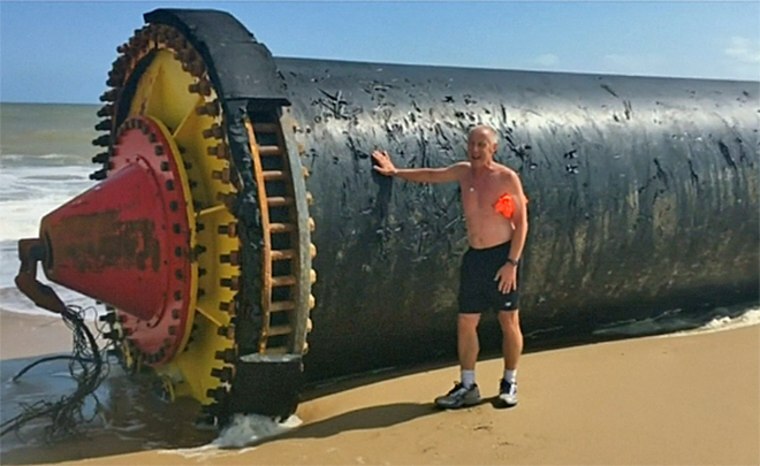 Instead of seeing overcrowding and towels, visitors to beaches in Norfolk, England, found giant pipes — the longest 1,574 feet long. The pipes, made of plastic and 8 feet in diameter, washed up on the shore after coming loose from ships headed to Algeria, BBC reported. The tubes are not dangerous to the public and will be relocated to Norway, the Maritime and Coastguard Agency told BBC. However, Pipelife, the Norwegian firm that makes the pipes, asked people to stay away because they could be crushed, according to The Guardian. People have been taking pictures on top of or next to the pipes. The wide diameter means the pipes are large enough to drive a car through.